﻿ About Us | ConStruct, Inc.
For over 30 years, we have provided excellence to our clients. I wish to congratulate your company of a job well done on our [various] renovation projects. The scheduling for these simultaneous projects was a successful challenge for you. You were quite sensitive to our functioning needs. It was impressive as your team remodeled our Chapel rooms during the week, and yet had them available for Sunday worship each week all cleaned and ready. We thank you for your help, recommend you again as an excellent contractor, and look forward to the next project that we work together on. I am very pleased with the workmanship and quality of the finish product, and have received the same comments from the tenants. ConStruct, Inc. will be on top of our contractors list on all upcoming projects in your area. 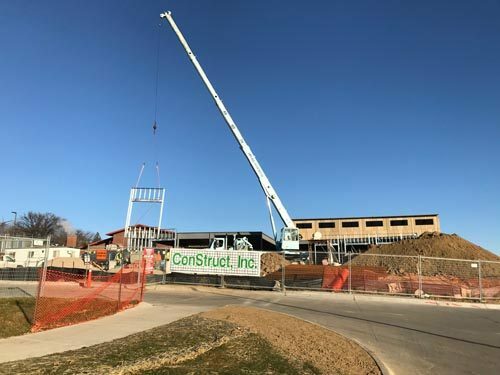 We were very pleased with the professionalism that was exhibited by all personnel from ConStruct, Inc. All members of the Contractor's team were very competent, quality minded and efficient in managing the subcontractors on this very technologically complex building type. We do not hesitate in giving a glowing recommendation, because we have found ConStruct, Inc. to be one of the best General Contactor that we have worked with. 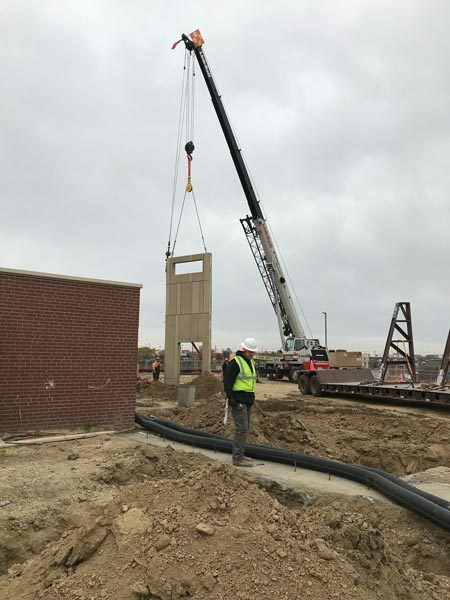 We hope that they have the opportunity to serve Owners in the future to the level of professionalism and quality that hey have provided the City of Papillion. It has been a pleasure working with someone as professional as you have been; the public is now enjoying the fruits of your labor and compliments about at how nice the Midtown branch is. Our relationship has been one of trust, integrity and quality construction. These traits rarely found today on projects of our type! Working with ConStruct, Inc. and it's management team has truly been a blessing and wonderful experience. The ConStruct, Inc. team was able to successfully complete the project while the tenant, CSG Systems, continued to occupy the building. ConStruct, Inc. met our expectations and completed the project under budget. We very strongly recommend the services of Construct, Inc., whether your are remodeling and existing building, adding on to your building or have a new construction project. On every project, ConStruct, Inc. conducts business with integrity, honesty and their communication is exceptional. I highly recommend ConStruct, Inc. to any company seeking an honest and reliable General Contractor. Our production remained at a high level and each of the lawyers in our office was very happy with the care given to our project and the consideration we received from ConStruct, Inc. I can wholeheartedly recommend ConStruct, Inc. to any professional organization that needs professionals working on their premises while they continue operating their business. The teamwork exemplified by your crew in concert with our architects has given my staff and me a world-class facility in which to work. We pride ourselves on the fact that a number of our clients continue to come to us for repeated business, the most recognizable names being Werner Enterprises, Millard Public Schools, Sherwin Williams and Baker's Supermarkets. If you would like a copy of our references including past and present clients, architects and subcontractor/material suppliers please contact our office. We feel that these references are our most important asset for communicating our quality of work and integrity of our company. In January of 1987 ConStruct, Inc. was formed and has grown steadily since its inception. Today, with almost two centuries of combined management and construction experience on staff with projects ranging from minor interior remodels to the construction of a multimillion dollar retail center. This is due to the ability of our staff to attract and retain quality, experienced personnel, to be competitive and to provide extraordinary service to all our clients. This shows with the number of our clients that have returned to us time and time again. ConStruct, Inc. is a diversified construction company with over thirty years of experience in various sectors of commercial construction, projects ranging from small to large.